Are you running a business which is concentrating a specific area like a city or a town? Then local awareness ad is very useful for you. Business like textiles, restaurants, shops, super markets etc can utilize local awareness Ad very usefully. Local Awareness ads allow local targeting of customers that live in or have recently visited the area around your business location. You can target audience who are living nearby your business location and who is interested in your niche. Citation is the latest technique of Local SEO Optimization. Citation is nothing but creating an online reference to your Business or Site. It is done by creating reference to business phone number, name and address (NAP). It is not necessary that you should create a back link to your site in citation. Search engine will pick up your data (i.e. NAP) from different sites while crawling. This will increase your business credibility with search engine. Citation can be classified into two, partial citation and full citation. Partial citation may include some of your data in partial. But Full citation will includes all information about your NAP. Google has removed there one of the earliest features in webmaster tool – Content Keyword Report. Content Keyword Report was the only way to find what Google find from our site while it crawling. It was very useful at early time for SEO analysts and webmasters since it shows whether Google can crawl our site or not or whether our site is hacked. Google says now we have enough other features in search console to get an idea about what Google crawl in our site. Like Search Analytics and Fetch as Google. Google also informs us about any kind of hacking in our site. Google says that users where often getting confused about keyword listing in Content Keyword Report. So Google removed those feature because of those reasons. Google also advice us to be clear about what our site is about and what we would like to be found for. Did you ever think why SEO is needed for Web sites that are up running? Most of the Vendors, retailers and Small Business peoples must have heard of term SEO when building a web site since most of the IT companies Kerala approached them with a Web site Builder package that also contains SEO. Here comes the real confusion, why I need SEO when I am building a web site that is already disband huge Money? The simple answer is SEO is only required when you would like to promote your Business Online or you need such kind of Brand reputation Online where some of your competitors playing well in niche market. SEO means Search Engine Optimization, which itself describes optimizing your web sites for search Engines like Google, Yahoo and Bing (previously known as Windows Live search and MSN). Again, you may think the benefit of getting listed on these Search engines since your Business is running well Offline. As far as Online searches and related queries are increasing day by day (It concludes that Google alone servers 1 Trillion Queries average on an year according to Search Engine Land search always has the demand in user’s mind. Users will search for informational Queries, Navigational Queries and transactional Queries on these S.E . Also users are always intent to click on first 3 results showed up hence it is important to come top on Search engines results. Earning a first place at Organic Listing is extremely a complex task but the same can be achieved by tremendous amount of team work and budgeting. That is the reason most of the SEO companies are asking for monthly SEO packages when building your web site or Blog. These Monthly SEO packages are customizable which may vary depending on the keyword competition, search results and Location. All in all, we Teddy Tech expert professionals in SEO and SMO always suggest our clients do SEO for web sites so that your web site can be listed top on S.E.R.P results which will further attract more visitors to your site and deliver your Business goals. A web site without traffic is like opening a retail shop somewhere on the bizarre land there nobody notices. Successful SEO pumps up your website traffic thus generate more Brand reputation Online. How can you assure you receive Best SEO services from SEO Consulting Companies? It is always important to ensure that your SEO contract companies works are on right track simultaneously with the amount you spent on online marketing. If this is not right, everything you acquired may be go to vain after few months of contract. Here we SEO professionals at Teddytech can help you out opting right paths for your SEO goals from the pitfalls. It is recommended to receive a monthly analytics reports from your SEO agency with Demograpics, adwords spent, leads generated, Goals converted, Landing page hits, social goals converted all in detail. Did you create Relevant Landing Pages? Most of the SEO consulting companies may set up adwords accounts for the client with a daily/ Monthly budget scenario. But, this process is not yet completed until unless you build up a good landing page within your target campaign, hence it is better to provide your recommendations on landing pages before drag this in to a running campaign. Landing pages must have a proper call to action, Headings, user friendliness and a professional Layout. 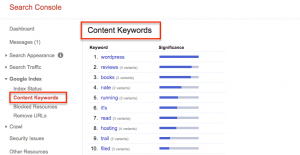 Are your Keywords lists are properly refined? Every SEO companies provide clients with a detailed list of keywords according to the Keyword terms, competition, backlinks & bid cost. But this is not enough for running a successful SEO campaign since we cannot predict the customer behavior once they enter into your web site and the path they choose for completing a Goal. In order to set a successful campaign you need a thorough analysis of the keywords and its (CTR- click through ratio) and based on this report one must re-apply the Keywords from the List. Here on such kind of difficult situations, Teddytech Expert SEO consultant can provide you better advice and goal oriented SEO approach. Did you ever notice your SEO results are temporary? There several Black Hat tactics any Companies can apply while doing SEO for the clients that may give you faster results than you expected. But, these results are temporary and one cannot trust on these results on a long term process. For continuous success, we Teddytech Kerala, Alleppey follows the ethical white hat methods and Google adopted terms and conditions. SEO based on a Goal oriented results are always difficult to achieve and TeddyTech SEO professionals not only accomplish these tasks with professionalism but also increase your brand value and Trust on entire web world. We’re a full-service digital agency with a collective mix of skills, experience, ideas and know-how. Based in Alappuzha, India, we offer web design, web development, e-commerce, branding, digital marketing, media buying and SEO services. We create brands, campaigns and digital platforms that help our clients grow and thrive.